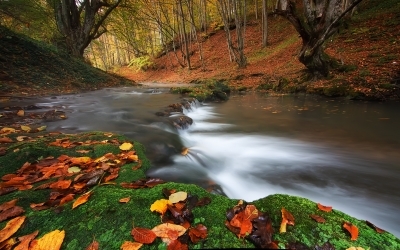 Gaestehaus Salzburg B&B is located in Hickory Nut Gorge, one of the most beautiful canyons in the Eastern United States. The Gorge is about 14 miles long, and extends from the small villages of Gerton through Bat Cave and Chimney Rock to Lake Lure. The rushing Rocky Broad River flows through the Gorge and empties into the crystal waters of the lake. We are convenient to many major attractions while keeping you tucked privately away from the buzz and bustle of travelers and traffic! Only 2.8 miles to Lake Lure Beach, 3 miles to the marina and boat rentals, 4 miles to the entrance of Chimney Rock State Park, 3 miles to the beautiful flowering bridge. Just a short drive away are two championship 18-hole golf courses as well as the 9-hole Lake Lure municipal golf course. Nearby are the scenic attractions of Chimney Rock Park and Lake Lure Boat Tours, Marina and Beach. Also in the Gorge are horseback riding, boat rentals, skiing, rock climbing, zip lines, rafting, biking, shopping in quaint shops, good restaurants, and enjoying the lake activities. There are many award-winning local wineries as well as local craft breweries nearby. Asheville, the Biltmore Estate and the Blue Ridge Parkway are about a 45 minute drive from Gaestehaus Salzburg. Hendersonville, with shopping, movies and the Flat Rock Playhouse, is about 30 minutes away. Tryon International Equestrian Center is only 20 minutes away. Ony 4 miles to the entrance from Gaestehaus Salzburg. A must see if you are in the area. Trails, waterfalls and climbing! Take a deep breath of refreshing mountain air, become invigorated by our hiking trails, and let your cares fade away in the cool mist of Hickory Nut Falls. This is the perfect place to reconnect with nature and spend time with family and friends. 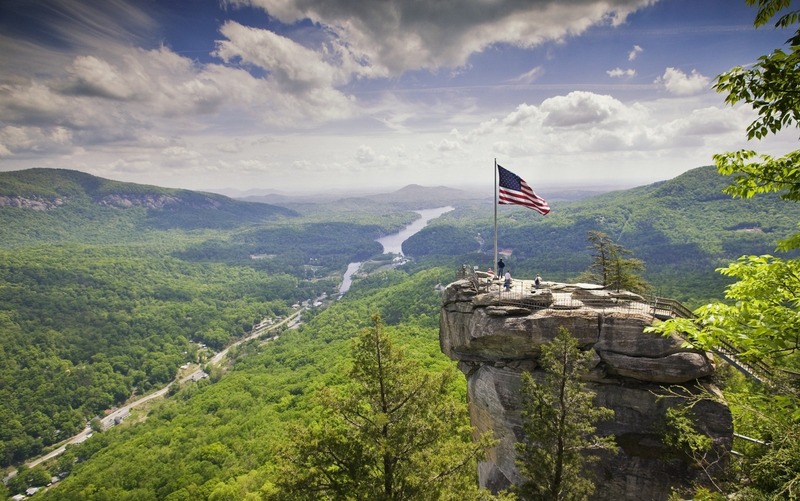 Only minutes from Lake Lure, Chimney Rock offers the best of the mountains in one place – spectacular 75-mile views, hiking trails for all ages, a 404-foot waterfall, a variety of events and more! Only a 2.8 mile drive from Gaestehaus Salzburg to sun and fun at the beach! Welcome to the Beach at Lake Lure. Relax under the sun, float on the water, build sand castles, or picnic with family and friends. 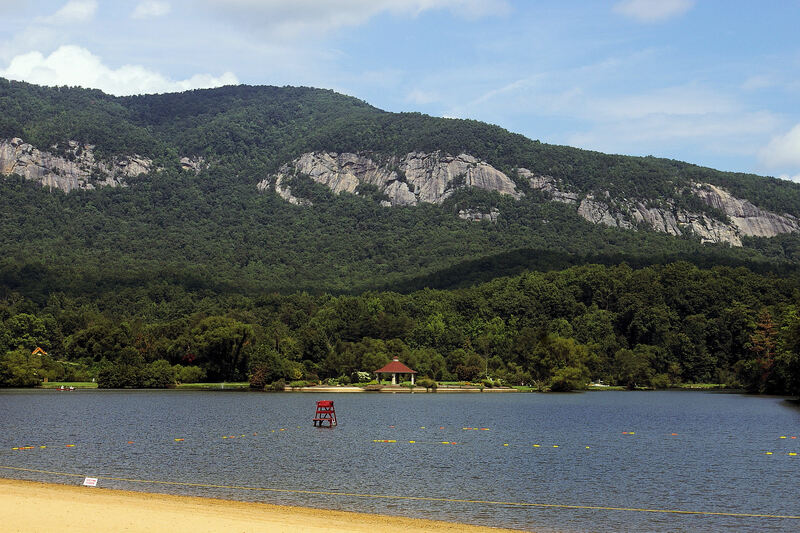 Lake Lure Beach is the perfect getaway. For a soaking good time, visit our children's water park with water slide and water wars. A covered pavilion can be rented for private parties. Washburn Park offers picnic facilities, Tennis courts, walking paths and of course, very popular for weddings in the Gazebo. Don't forget to visit the Flowering Bridge. Beautiful gardens attended solely by volunteers enjoy visitors from all over the world. Join us for our annual Dirty Dancing Festival in August. Lake Lure Washburn Marina offers both motorized and non-motorized rentals. 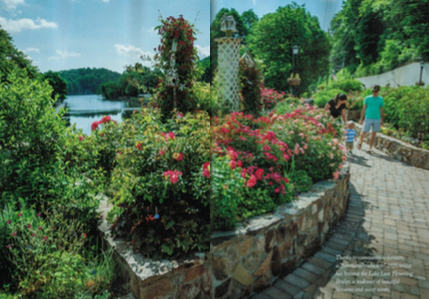 A favorite attraction you won't want to miss this beautiful flowering pedestrian walkway across the Rocky Broad River. Many local award-winning wineries, plan your Wine Tasting Tour Now! Click here for wine tour map! 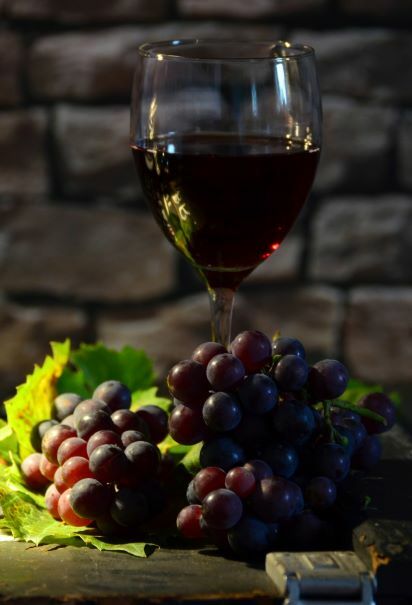 Check out Lake Lure's local wineries~let us help you plan your wine tasting adventure! Plan a Spring Weekend in beautiful Lake Lure: outdoor exploration & relaxation! Calendar of Upcoming Spring 2019 Events ~ Book your accommodations now! Community yard sale, shopping, family, food, social. 5/12 SUNDAY Mother’s Day! All day! Festival, vendors, food, family, fun.